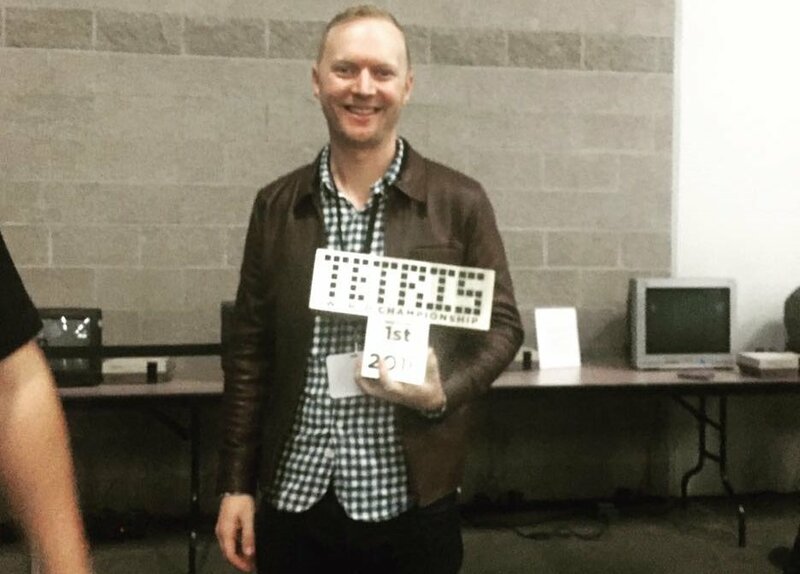 Jonas Neubauer has made waves within the Tetris community thanks to his many victories in the Classic Tetris World Championship. The name Jonas Neubauer may sound familiar, especially if you follow the realm of competitive Tetris. Not only was he one of the featured players in the documentary, Ecstasy of Order: The Tetris Masters, but he’s also a notable pro within the Classic Tetris World Championship (CTWC). It’s not an easy path to the top, yet Jonas has worked hard to carve out a steady place for himself there. Each year, he manages to find himself in the CTWC Finals facing off against notable competitors including Harry Hong and Jeffrey Moore. Curious to find out how he became such a formidable foe in the world of competitive Tetris, and whether or not we can expect to see him during the 2017 Classic Tetris World Championship, we decided to interview Jonas Neubauer. Q: First, can you tell us a little bit more about yourself and how you discovered your passion for Tetris? A: My name is Jonas Neubauer and I am a Taproom Manager at Strand Brewing Co., a microbrewery based out of Torrance, CA. I first got into Tetris when I was 6 or 7, playing on my uncle's Macintosh. The simplicity of it intrigued me and I also enjoyed the fact that I was against the game itself and not another player. My older brothers were great at Chess and I never liked playing them. Q: At what point did you start seeing Tetris as something you could be really great at? A: It wasn't until I played the NES version of Tetris a few years later that I started to show promise at the game. Math was my strongest subject growing up and I analyzed my moves based on probability matrices. I would choose moves that gave me the most favorable board states in terms of accommodating different pieces. I also looked at recorded games and calculated how easy or hard the game was based on how quickly I got line pieces for my Tetris wells. Q: What pushed you to get involved in the competitive Tetris scene? A: A few of these recordings eventually made it onto the web in the early 2000s. 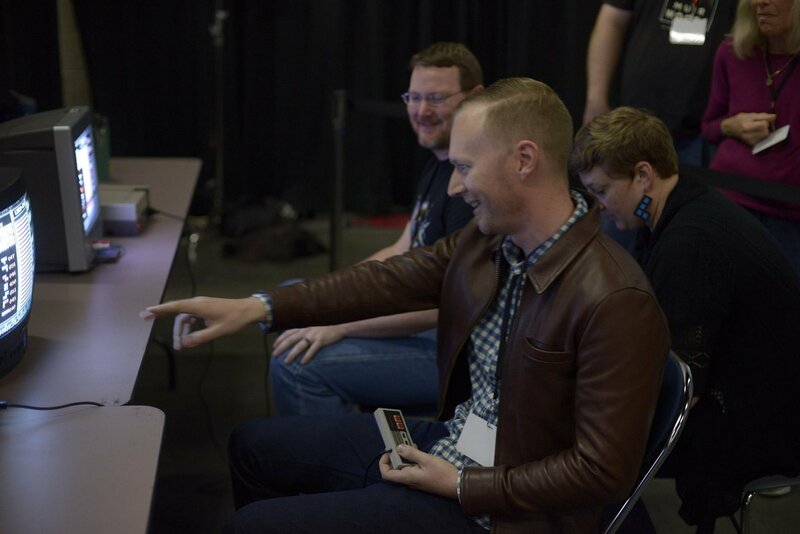 There wasn't much of a competitive scene; participants were mostly screenshotting and bragging about high scores. I eventually achieved a maxout and put a video of it up on the boards that eventually made its way to Youtube. Q: Why did you decide to participate in the Classic Tetris World Championship in particular, and how did you prepare for your first time competing? A: Based off of this video I was contacted by the a filmmaker named Adam Cornelius who was making a documentary about NES Tetris and also organizing the first official tournament. It was sheer luck that I was proficient at the version they chose. It was also to be held in my hometown city so that stars really aligned on this. 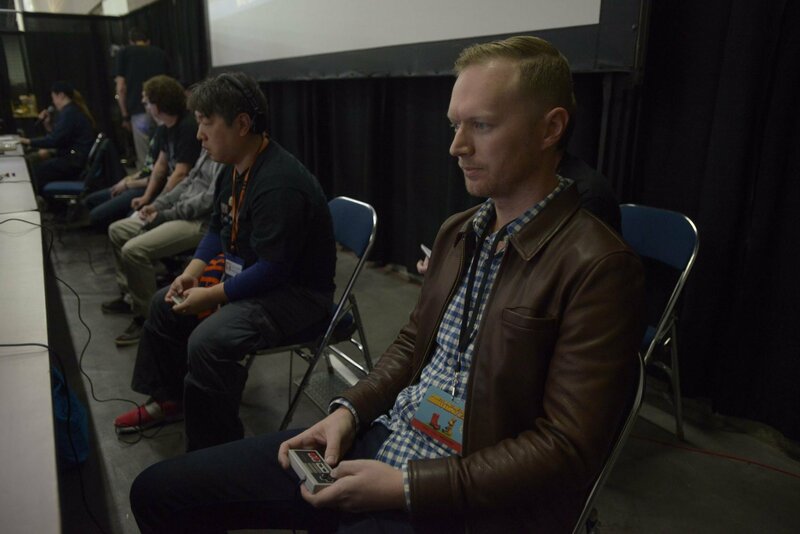 Q: Were there any key lessons that you took away from your first Tetris tournament? A: I ended up winning that tournament but it was humbling to see how much worse I was under pressure in a competitive setting. I had to go back to the drawing board and develop my tournament play style the following year. Playing slowly and balancing survival and aggression to consistently score well became my signature style. Q: Who would you say is your biggest competition in the world of competitive Tetris and why? A: The field of competitors has broadened over the years. My arch rival would probably be Harry Hong, an amazing player that beat me in 2014. His aggressive style makes for high scoring potential and can really disrupt my even keel playstyle. There is a hypertapper named Koryan that can move pieces left and right quicker than I can and will have a big advantage over the rest of the group this year in that respect. There's so many potential champions that it's impossible to mention them all. This year will be very exciting. Q: Did you ever imagine you'd dominate the competitive Tetris scene, and what’s it like being viewed as one of the best Tetris players of all time? A: I was never very good under pressure, so it comes as a surprise to me that I've done so well in these tournaments. I used to imagine announcers commentating on my games so I guess it doesn't distract me that much to actually hear them during the tournament. I like to peruse the Youtube comments attached to the Tournament replays online and see what the general public makes of this odd competition I take part in. I'm fascinated by the whole thing. It's wonderful to be specifically "famous" in the sense that I can bring it up at parties and have fun with it but not be recognized at all when I'm out and about. Q: On average, how often do you practice Tetris in your spare time, and what’s your favorite version of Tetris to play? A: In the past I've only played a couple months leading up to the tournament. It has never been a year long thing for me and even growing up I'd take years off at a time. This year, I started streaming my practice sessions on Twitch (sn: Nubbinsgoody) and it has been a wonderful experience. Q: If you had to pick, what would you say your most intense competitive Tetris moment was? A: My most intense competitive moment was probably being down two games to none in the 2013 final and coming back to win the best of five. It was an emotional rollercoaster and something I'll never forget. Q: What is it about Tetris that keeps you coming back? A: I think the reason I always come back to NES Tetris is that it has been such an adventure for me. There's always room for improvement and now there is a great community of players associated with it. It has been a very positive aspect of my life. Q: Are there any personal challenges that you've set for yourself in Tetris, but haven't managed to tackle yet? A: I never set specific goals for myself aside from adding elements to my game that make me better equipped to handle the brutal RNG and get the best score out of each game. Q: What are some of your most prized Tetris possessions and why? A: I have a lot of Tetris related stuff that I keep around to remind myself how fun this journey has been. My trophies are my favorite and the recent ones are in the shape of T-blocks that can be stacked. What more could anyone want? Q: What advice would you give to an aspiring competitive Tetris player? A: I think the best way to prepare for the tournament is to get very comfortable on level 19. Play 19 as much as possible and the rest will follow. Q: Lastly, will you be participating in the 2017 Classic Tetris World Championship this coming October? If yes, do you think you can take the top spot yet again? A: I will definitely be at the tournament this year and I feel as prepared as any of the other years. I just hope to play well and be a part of exciting matches that people will enjoy watching. We want to thank Jonas Neubauer for taking the time to do this interview, and wish him luck during this year’s Classic Tetris World Championship! If you’re interested in challenging Jonas this year you can read through our feature on how you can participate in the Classic Tetris World Championship. Additionally, be sure to check out the CTWC website, like the CTWC on Facebook, and subscribe to the CTWC YouTube Channel! Curious about what the world of competitive Tetris is like? Learn more by watching Jonas take on the CTWC in one of our favorite documentaries, Ecstasy of Order: The Tetris Masters! Need to prepare yourself before heading off to the CTWC? Click here to play Tetris for free right here at Tetris.com!